At Complete Chiropractic, we aim to be more than just a centre for pain relief. 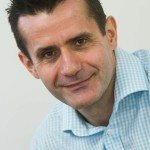 Don’t get us wrong – pain relief is a huge part of our day to day work, and its what brings most people the clinic. But since we transformed the clinic into a state of the art facility in 2014, we’ve had a strong focus on keeping people healthy for the future, not just firefighting in the here and now. One of the major tools which allow us to do this is an approach known as Chiropractic Biophysics. First defined in December 1980, Chiropractic BioPhysics (or CBP) Technique, was originally named by Drs. Donald Harrison, Deanne Harrison, and Daniel Murphy for “physics applied to biology in chiropractic”. Whereas “standard” chiropractic treatment is aimed primarily at addressing pain, chiropractic biophysics aims to go beyond this, looking instead to facilitate long term postural and health improvements. CBP Technique emphasizes optimal posture and spinal alignment but does so within a rigours framework of measurable outcomes. CBP is, in short, about making long term, visibly and documentable changes to your posture and health. 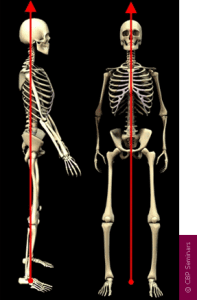 Normal Front & Side View Posture – Center of mass of head, rib cage & pelvis vertically aligned in Front and Side views. What is an “ideal spine”? Chiropractic biophysics practitioners, being strongly grounded in the scientific method, have long noted that just as with all fields of study dealing with the human body, i.e. physiology, haematology, anatomy, etc., there exist normal and ideal values for alignment of the spine. CBP researchers have extensively published ideal and average models for the human spinal curvatures as viewed from the side. This research has lead to the development of a model, known as the ‘Harrison Spinal Model’. This model details both Ideal and Average geometric shapes for the curves of the spine from the side. Additionally, ideal and average ranges for the spinal segmental angles for each of the spinal regions have been identified. Since chiropractic biophysics is an evidence-based approach, an initial consultation at Complete Chiropractic is as much about gathering evidence of your overall spinal health as it is about diagnosing your immediate problem. We use tools such as x-ray analysis and line drawing procedures on state-of-the-art postural analysis software to identify not only “where it hurts” but also which underlying misalignments may have been responsible for your current painful complaint. In addition to the usual approaches utilised in chiropractic, chiropractic biophysics brings some additional specialist tools to the table. Mirror Image Adjustment, assists a Chiropractor in the rapid rehabilitation of the patient’s posture. In theory, these adjustments seek to “re-balance” the bodies sense of proper balance or alignment by way of triggering improved muscle and nerve reflexes. Thus, postural adjustments as performed with drop table, hand-held instrument, or even mirror image manipulation procedures, are performed for resetting the nervous system regulation of postural muscle balance. As a compliment to the mirror image adjustment technique, there is also a series of specific Mirror Image posture exercises. Mirror image exercises are performed to stretch shortened muscles and to strengthen those muscles that have weakened in areas where postural muscles have adapted to asymmetric abnormal postures. Although strength and conditioning exercise alone has not proven to correct posture, postural exercises performed in the mirror image have shown initial promise in the reduction of posture and spinal displacements. Finally, chiropractic biophysics offers spinal traction – the gentle application of sustained loads for periods of 10-20 minutes, which assists in making longer-term changes to posture. In clinical controlled trials, extension traction, as performed as part of the CBP Technique, is the only proven method (without surgery) shown to consistently correct abnormal spinal curvatures back towards their normal alignment. As a summary, this table shows how chiropractic biophysics approaches interact with and improve upon traditional approaches. 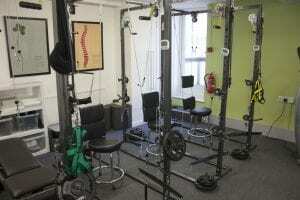 How can I try chiropractic biophysics? The great news is that all patients at Complete Chiropractic are offered treatment with the chiropractic biophysics approach! The first goal is always to eliminate pain and suffering, but as soon as your initial complaint is under control we can get to work on improving your posture and spinal alignment for the long term. If you’re suffering with pain, or just looking to improve posture – get in touch today, take advantage of our new patient special, and see what Chiripractic Biophysics can do for you!